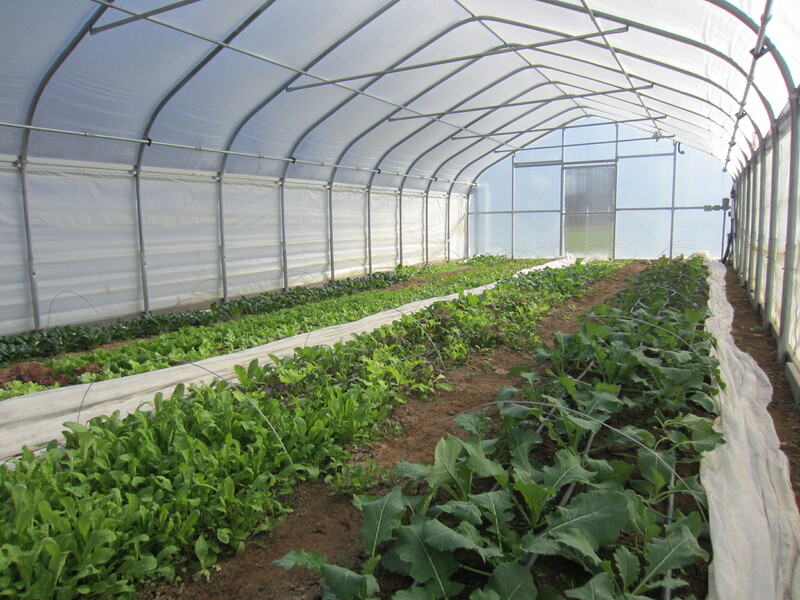 The greens in the high tunnel are looking great and I’ll be harvesting them for the holiday market this Saturday!! 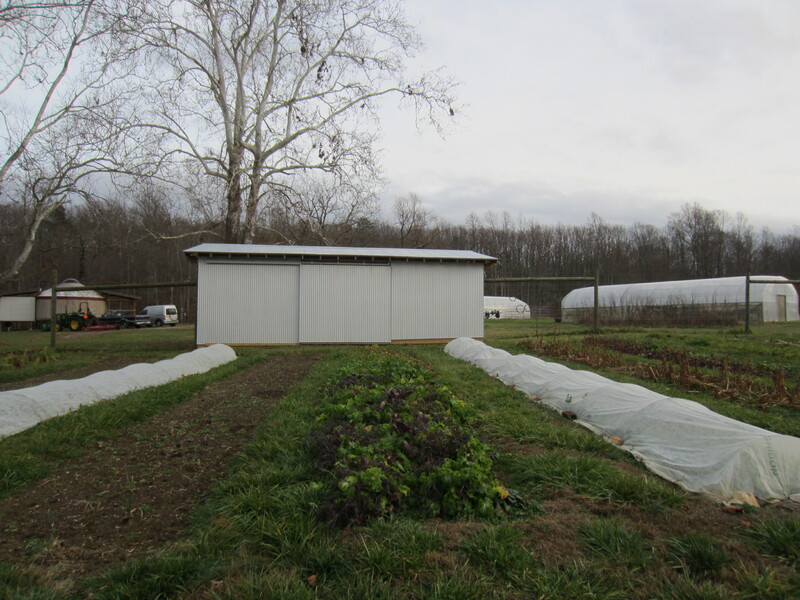 You’re looking at collards, kale, arugula, a mix of salad greens, lettuces, tatsoi, and swiss chard. 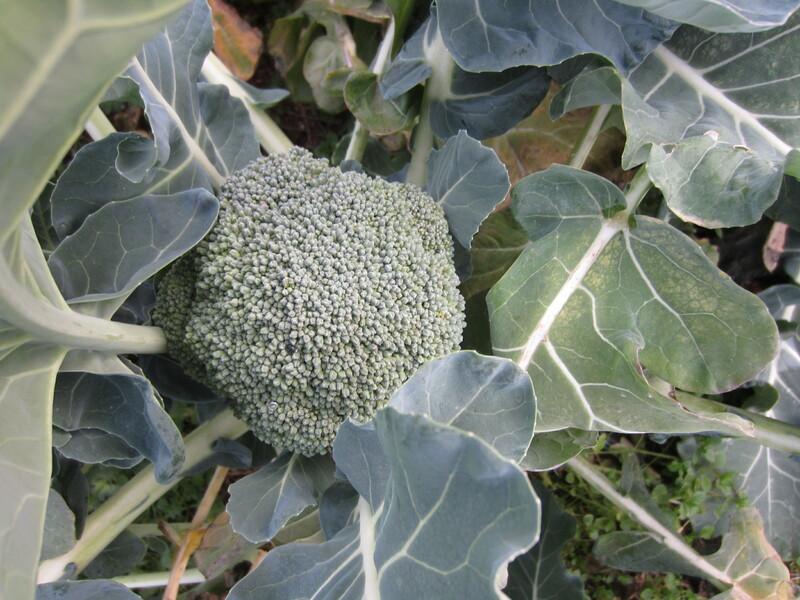 The hardy crops outside are looking good as well. Plants never cease to amaze me. We’ve had quite a few nights with lows in the 20’s. 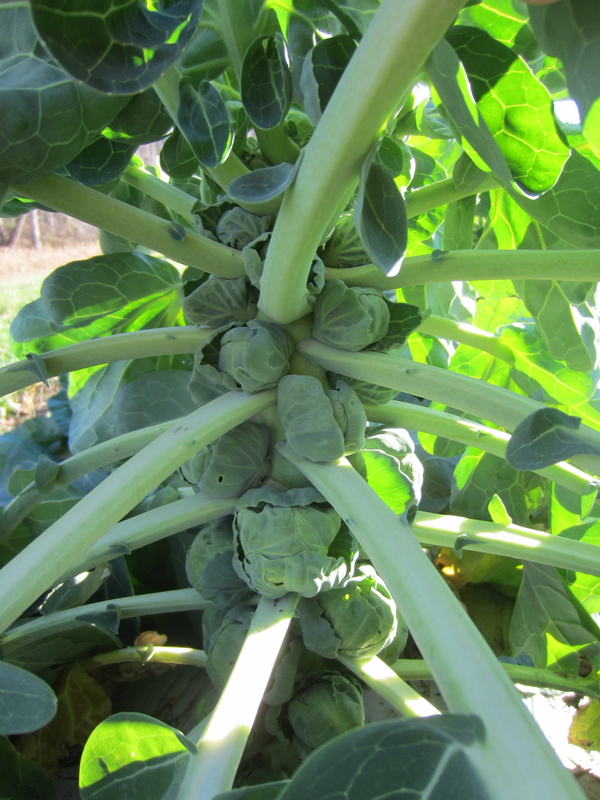 We might even have some brussels sprouts soon. 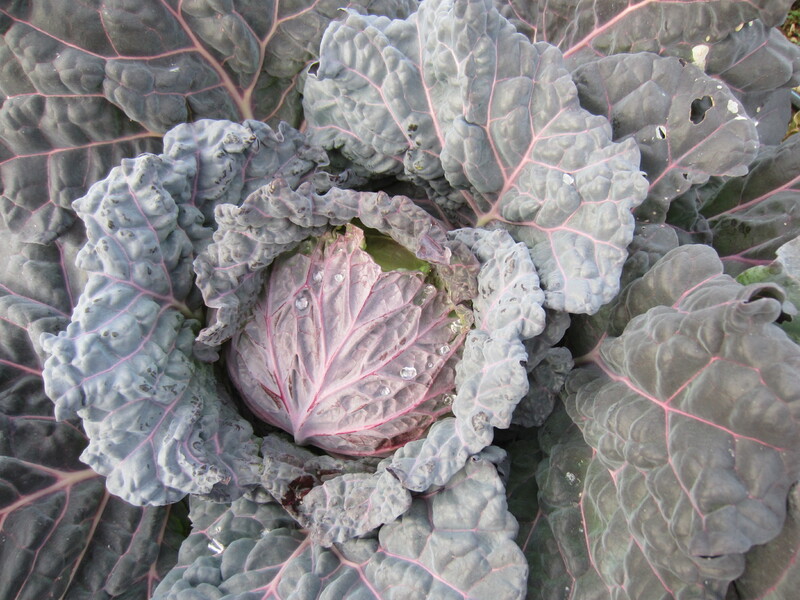 Last week I cut off leafy rosettes at the top of each plant so they can put more of their energy into forming sprouts. We ate these tops and they were SO good sautéed with a little bacon. They were very tender and tasted brussels sprout-y. 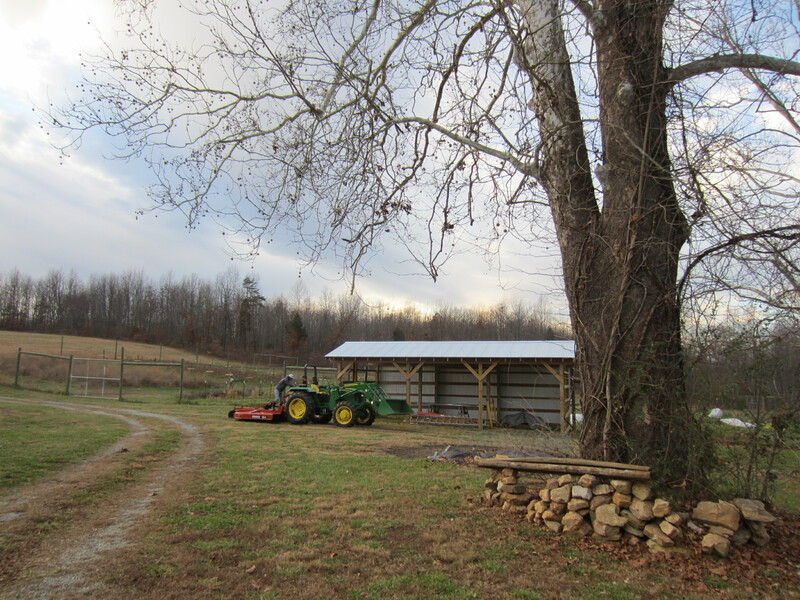 Gavin has been working hard on the shed in every free moment. 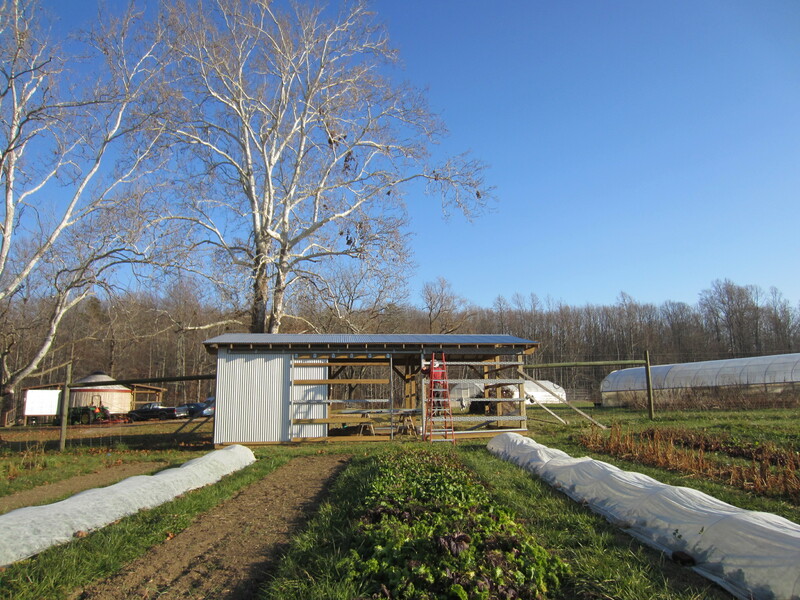 He finished putting on the roof and west wall panels last weekend. The center section of the west wall is a sliding door. It will be nice to store tools in here and not have to walk all the way over to the potting house. 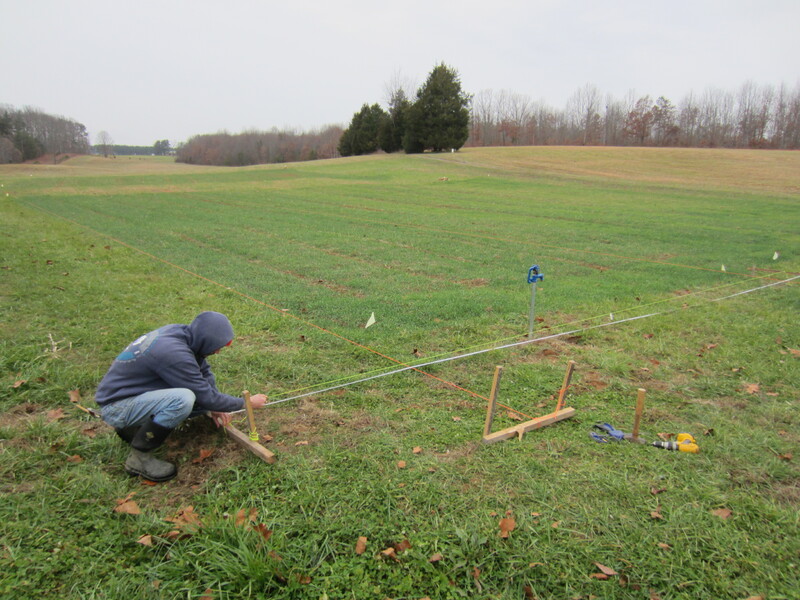 Every little project like this gets us a little closer to being a more efficient operation. It’s a slow process. 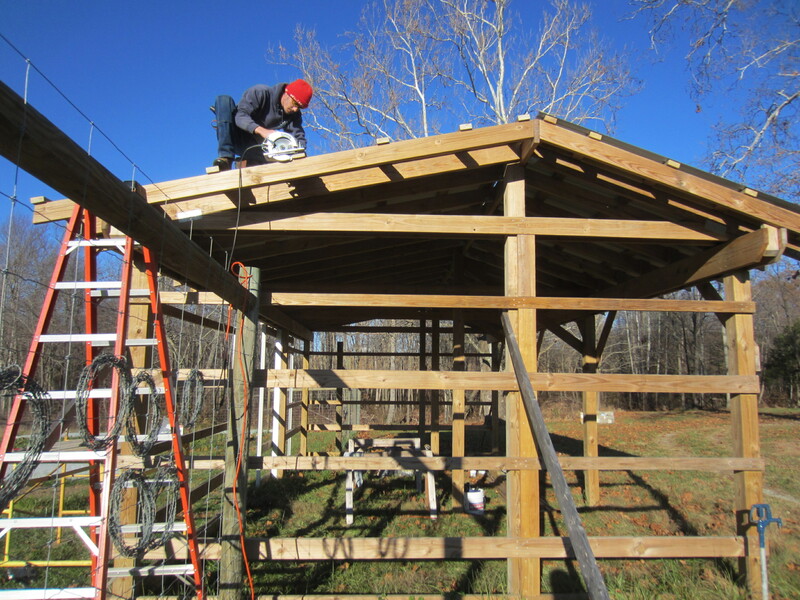 Gavin has decided to add-on to the structure by putting another small shed roof on each of the short sides. They will be just the right size to keep the riding mower and the rotary mower out of the weather. Other tasks this time of year include general clean-up. 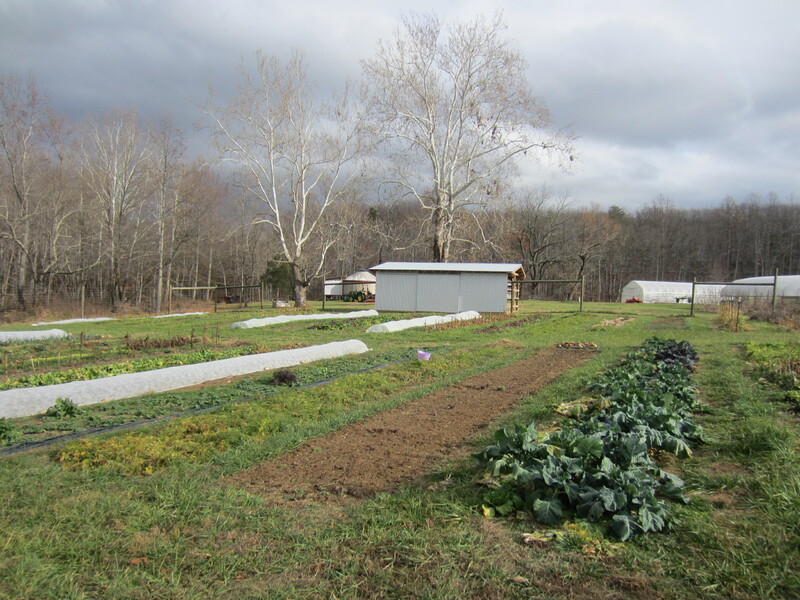 I’ve been tackling weeding out the perennial crops… an ongoing process. Gavin finished up with the field mowing, another project that has been looming. 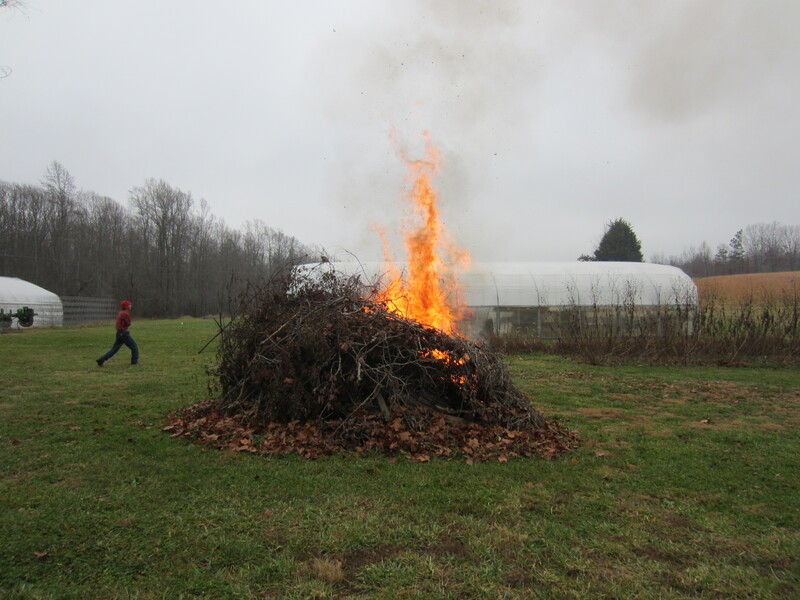 This brush pile finally got burned on a wet, still December morning. 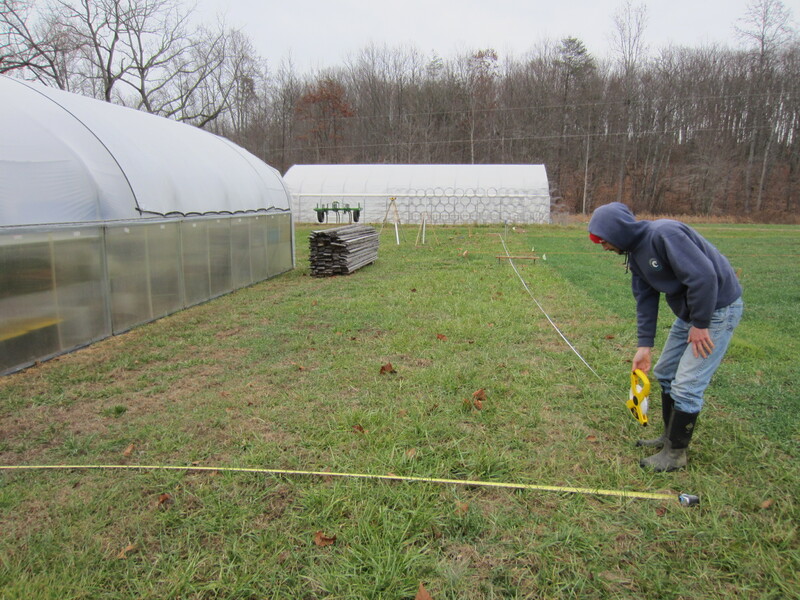 With the shed at least at a stopping point, Gavin has started working on the construction of another high tunnel! Meanwhile I have been spending a lot of time indoors creating spreadsheets for the garden plan and working on seed orders. We hope to be more organized this year with our record-keeping. Just a few more days of darkness until the Winter Solstice!! We are filled with excitement for the coming year! Hope you are too. Happy holidays everyone! Hi Kevin, thanks for your comment! You’re right, there are definitely a lot of challenges with this type of life work, but it is so worth it for the good food. Hope you can make it down to Virginia sometime! You are making progress with the building! The produce looks so good. Thanks for the update. Thanks for visiting our website, Dr. Richmond! Hi Mary Beth! I’ll email you with what we have and see if we can arrange a meeting spot. Happy New Year!